Video is becoming one of the most popular eLearning formats, yet many instructors aren’t sure where to begin. Luckily, creating video has never been easier! This article describes best practices in video learning and 3 easy methods for anyone to get started. Video is fast becoming one of the most popular eLearning formats. Thanks to the popularity of sites like Coursera, Khan Academy, and Lynda.com, online learners are demanding modern, video-based courses that work beautifully across computers, tablets, and smartphones. Fast-growing online course sites are largely video-based, including Lynda.com, Skillshare, CreativeLive, Udacity, Udemy, and Craftsy. Here are 3 easy methods to create eLearning videos yourself. If you have Powerpoint or Keynote presentations, it’s easy to record an audio narration by pressing the Record Slide Show button. Both Powerpoint and Keynote enable you to save your presentation as a movie. For Mac users, we recommend using Keynote as it records and converts presentations much more easily than Office for Mac. To improve the visual quality of your slides, use images and reduce the amount of written text. Consider trying a product like Haiku Deck to create your slides before exporting to Powerpoint or Keynote. Screencasting refers to a technique where you can record your computer screen while adding a voiceover. It is commonly used for technical training, software training, and step-by-step video tutorials. You’ll likely want to edit the beginning and end of each video segment, so look for a screencasting tool with some editing capabilities. For Mac users, iMovie works well for basic editing. Animations, such as white-board style drawings, are very modern and visually engaging for online learners. The software is easy to use and comes with built-in images, text, music, and themes. While it takes a little longer to create than narrating Powerpoint slides or recording your computer screen, it’s still very easy to do it yourself and the results look professionally produced. Here are some options to consider. 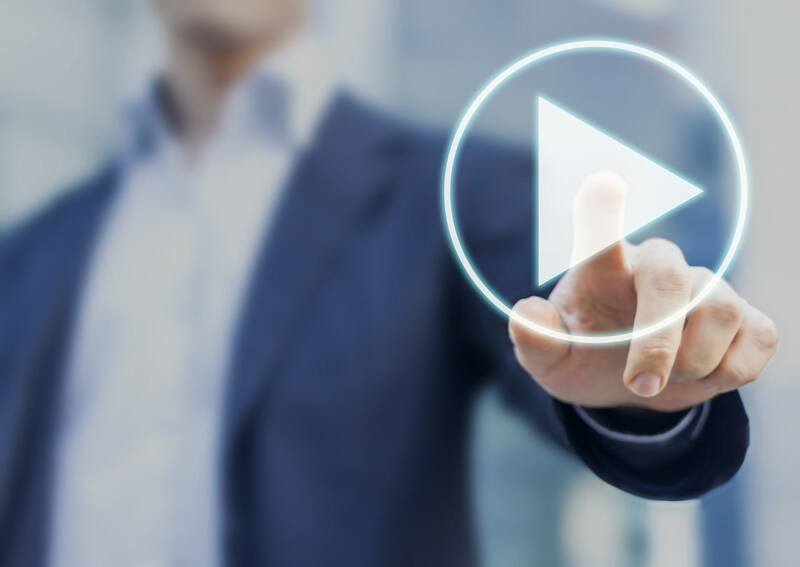 For educators, instructors, and corporate trainers that are considering adding video to their instructional design, the 3 methods outlined above are all easy ways to experiment with video-based lessons. Thanks to popular online education websites, asynchronous video training is becoming the new norm. Best practices are to keep each segment short (evidence suggests 6 minutes or less), use a microphone for audio (we recommend the Snowball), and add interactive elements such as quizzes throughout the course. Video is another authoring tool in your arsenal, and doesn’t replace sound instructional design. Once your videos are produced, you can create and deliver an online course using a hosting platform like Skilljar, or post your videos publicly on sites like YouTube. Whether you’re narrating slides, screencasting, or creating animations, it’s a great time to add video production to your eLearning capabilities.